The Super Smash Brollers were on fine brolling form last Saturday, as they brought the Manchester Roller Derby Chaos Engine to a grinding halt. 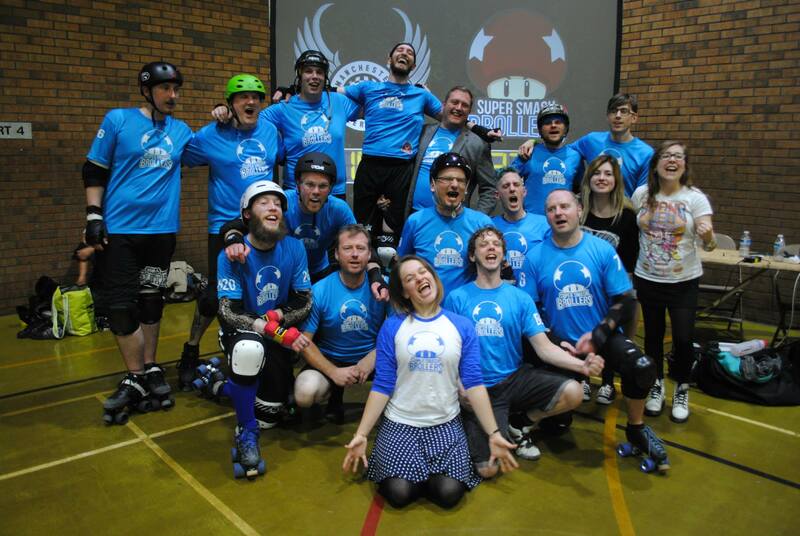 The two teams fought hard, but SSB emerged victorious with a win of 325-105. 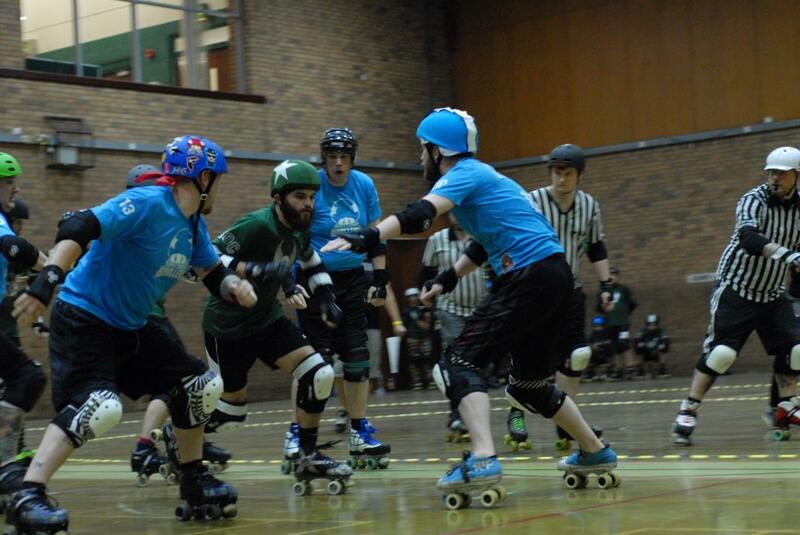 The Brollers got off to a strong start with some great walls and strong defensive game-play. 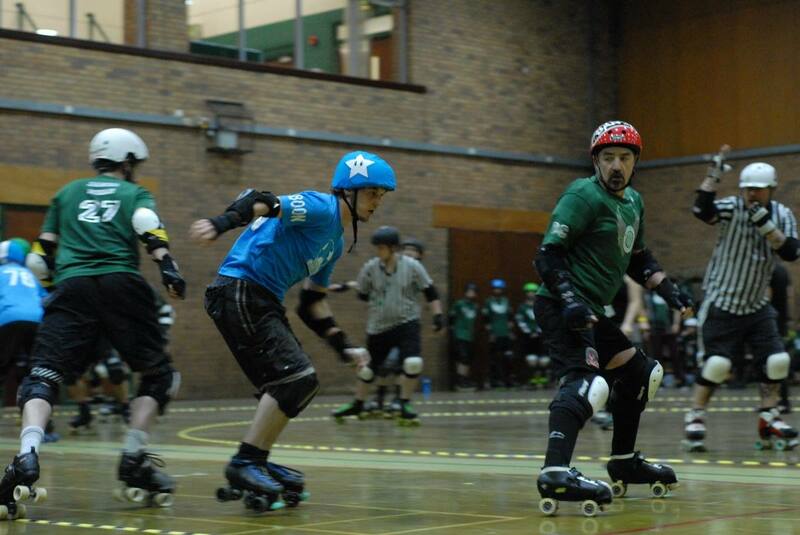 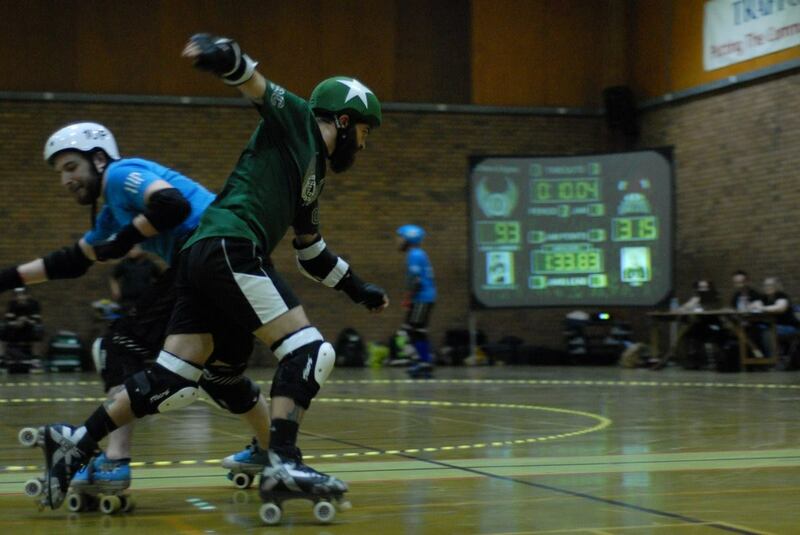 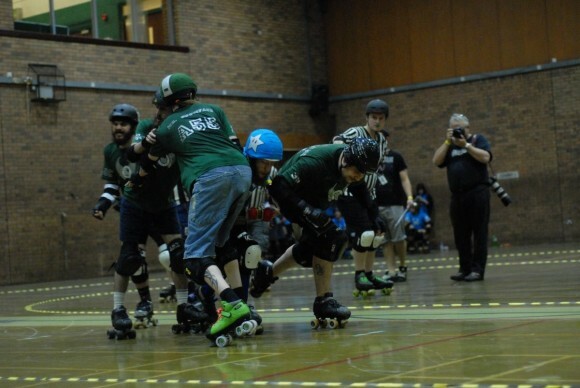 Jammers from both teams were in and out of the box, but SSB managed to make more of their time on track, soon leaving MRD trailing with a 94-4 scoreline only eight jams in. Chaos Engine jammers Mr Scumface and Jim Jams continued to hammer at the SSB walls, but with Notts O’Gentle and co holding strong, this was proving tricky. 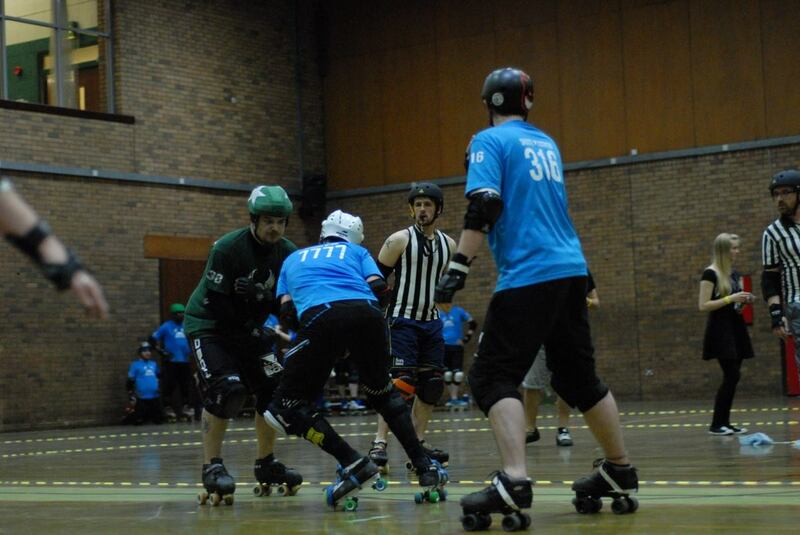 Agile jamming by Boon, Brawl Jukes and Skate Plissken led to a great half time score of 170-31 for the boys in blue. 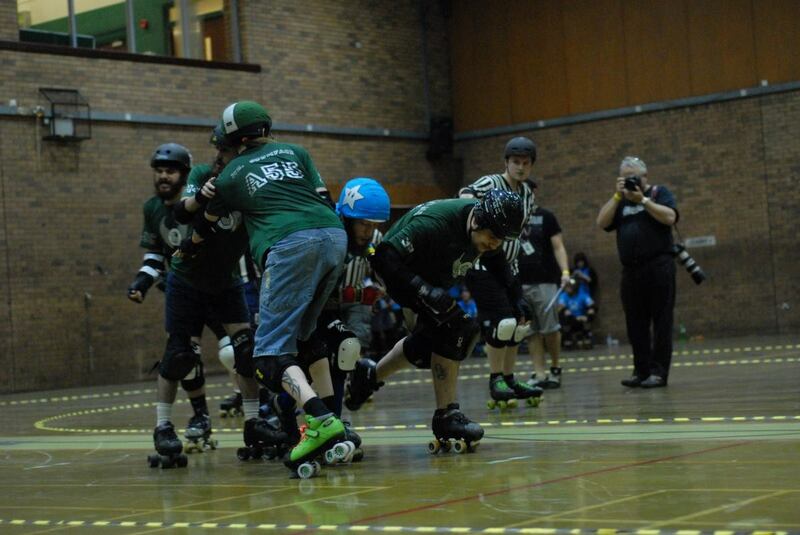 The second half saw the Chaos Engine step things up a gear, with plenty of power jams in their favour. SSB jammer Skate Plissken couldn’t seem to find his groove and stay on track, and the MRD boys took advantage of this to bring their points total up to 62 fairly quickly. 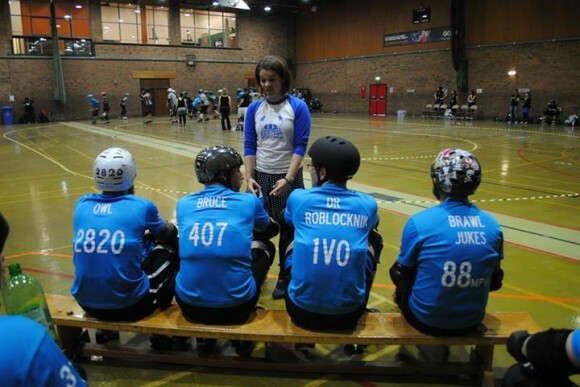 MRD blockers Captain Malice, Tone Death and Yak continued to make life difficult for the SSB point-scorers. 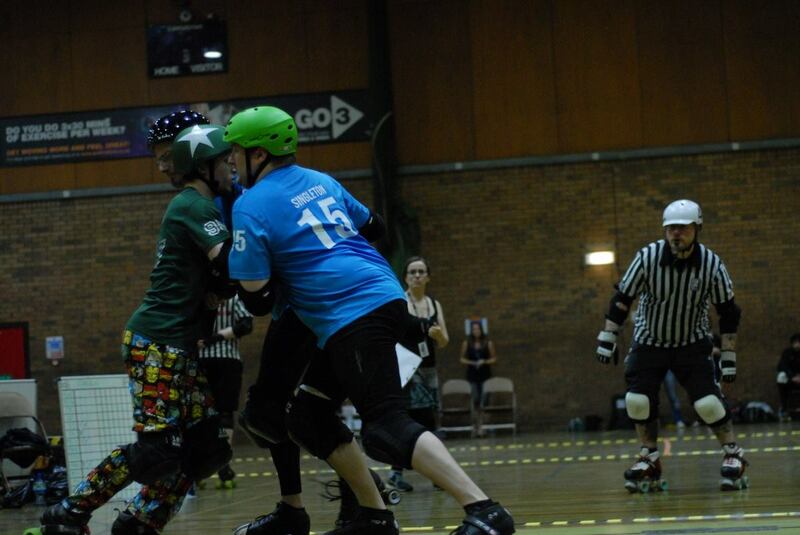 Penalties were becoming more frequent as energy levels started to flag on both sides, with SSB jammer Boon fouling out halfway through the second half. 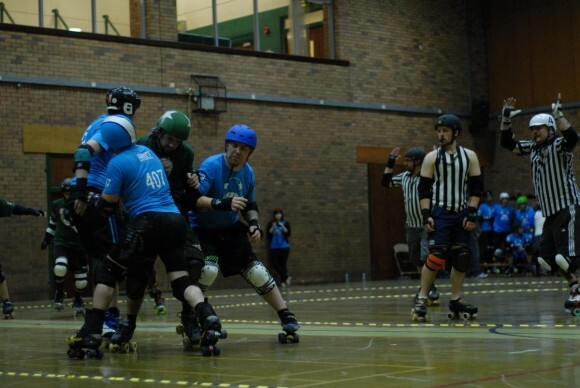 MRD managed to eventually make it past the 100 mark, but SSB were too far ahead to catch, with the game finally coming to a close on an impressive 325-105 to SSB.